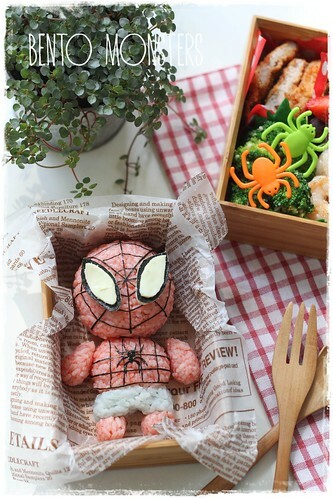 I made this spiderman bento after the movie, The Amazing Spiderman 2, started showing in cinemas here. 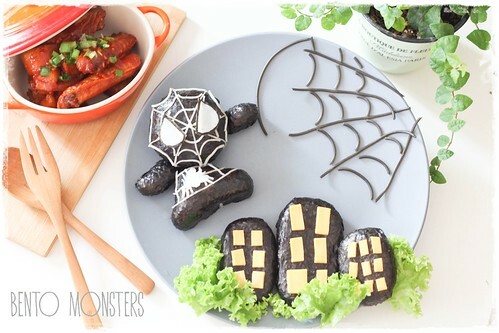 It's been a long time since my last spiderman bento, you can check out the previous one HERE. The bento was packed with tonkatsu, garlic prawns, broccoli and fruits. 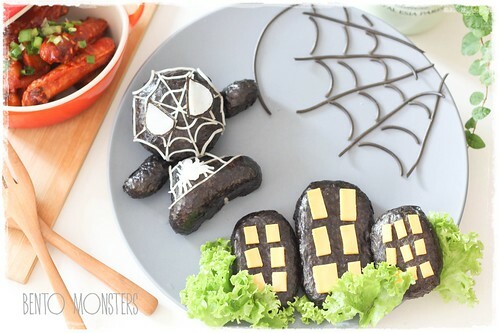 Spiderman was made using rice (coloured red and blue using deco furi), nori and cheese. After I made the spiderman bento, my boys requested for a black spiderman bento. I ended up making a spiderman food art for them instead. Side dish for that day was a one pot spicy Korean stew which contains chicken, potatoes, carrots and radish. I also steamed a fish that day but it's not in the picture. I've been getting a good supply of fish from my hubby's monthly fishing trips, I don't have to buy fish these days other than salmon and cod, which he can't catch in this region. 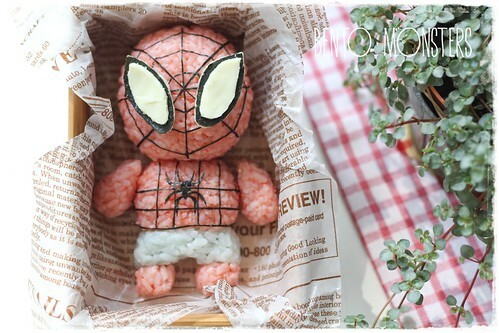 Spiderman was made from rice, nori, Kamaboko and somen. 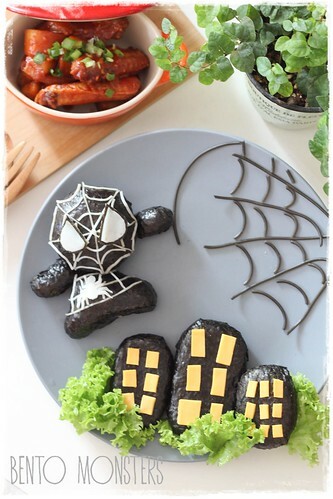 Web was made using black pasta and the houses were made using nori and cheese. haha how cool is that?! 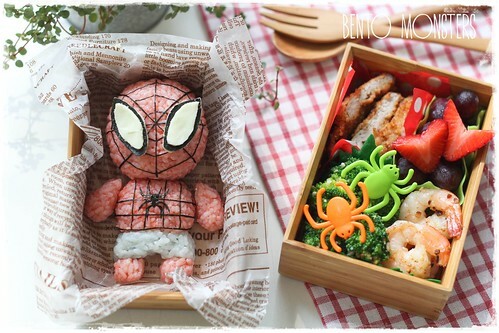 Amazing Spiderman, Amazing bento! Super cute! love the black spidey version! Love the black Spidey version! 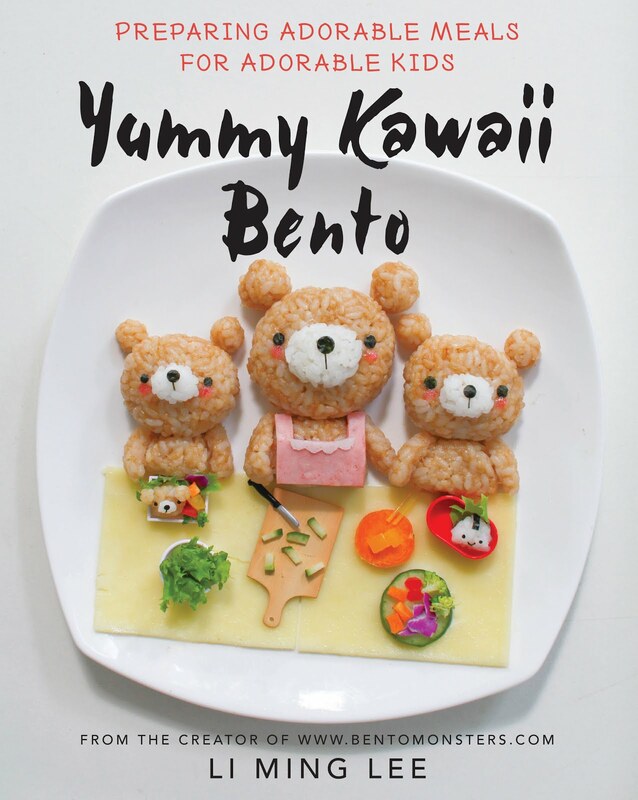 So creative in your use of ingredients!